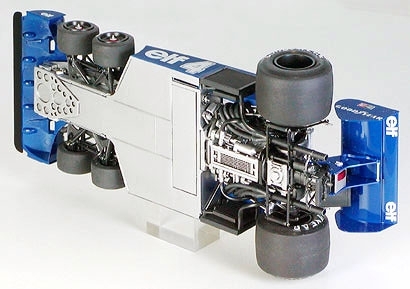 In the 1976 F1 World Championships, Tyrrell P34 six-wheeler made its debut and demonstrated outstanding performance throughout the season. 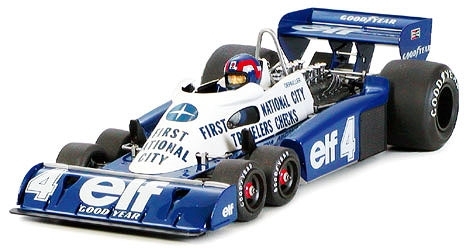 In the following season, P34 obtained First National City Bank as its main sponsor and changed its cowl painting to blue and white two-tone. 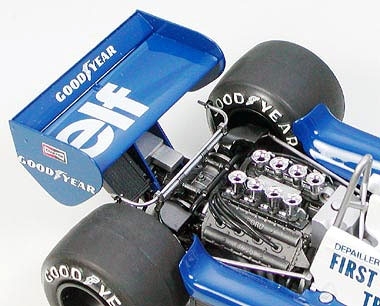 The P34 in this season featured full engine cowling to improve aero-dynamics and was driven by P. Depailler and R. Peterson. 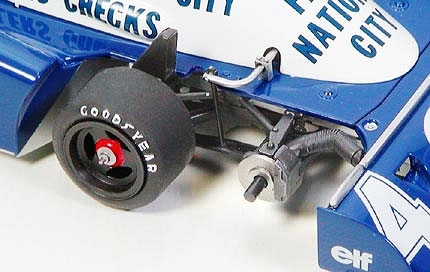 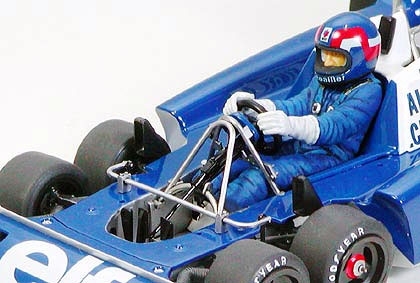 Tyrrell encountered trouble when the development of P34"s unique front tires stagnated as a result of the tire war between Michelin and Goodyear, but they continued their efforts to win by making minor-alterations to their P34 machines throughout the season.